I'm a patient for over 4 years. I have heard horror stories from people who visit other practices. I send them to Jacobs Audiology. I get the BEST service, support. I am never rushed, and I walk away understanding my options. Without question, this is where you should go if you REALLY want to be able to hear again, with the best device selection and personal service. - J.T. I have been a patient with Jacobs Audiology for the past five years plus. During this time I have found that Mrs. Jacobs has provided effective, timely and professional services. 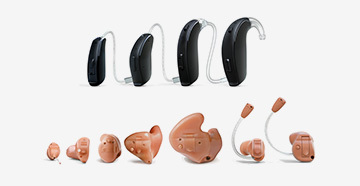 As an example, it has been necessary to return my hearing aids to the manufacturer for repair and/or reconditioning. Mrs. Jacobs handled these transitions with minimum inconvenience to me and also provided loaner instruments at no additional charge. I would recommend her office without reservation. - P.B. I started working with Marcie Jacobs on my hearing loss issues in 2017. She provided me exceptional professional advice on my condition and how best to address it. She didn't push specific hearing aid products on me; she helped me choose what was best for me and my pocketbook. She also helped me understand how to enhance my listening experience through a phone app. This year I had a technical problem with the connection between my hearing aids and the phone app and she was able to see me within days of my calling her office. She was able to trouble-shoot the problem quickly and fixed within minutes. Not only does Jacobs Audiology provide excellent professional service, Marcie makes it a fun experience every time! I recommend Jacobs Audiology without reservation. - S.B.